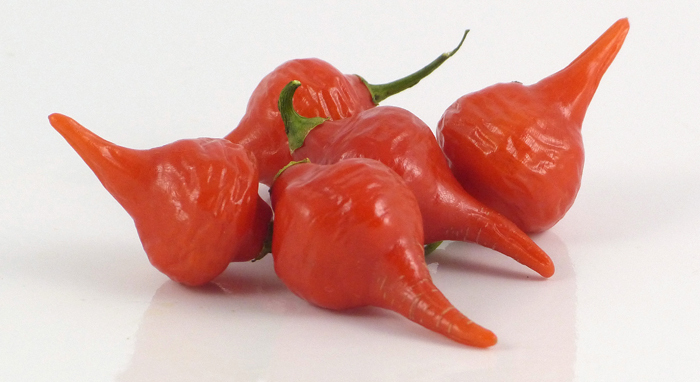 Biquinho Iracema (Pimenta Iracema Biquinho), or Little Beak Pepper, is becoming more popular in the US due to the minimal or lack of heat advertised. 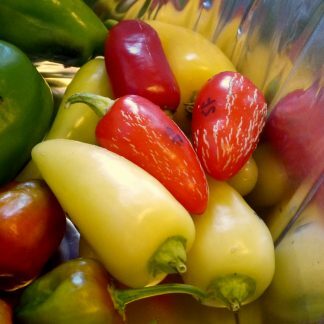 This variety is reportedly from the Brazilian state of Minas Gerais, where they are pickled and served as an appetizer. I have read many claims that Biquinho Iracema has either low heat or no heat at all. 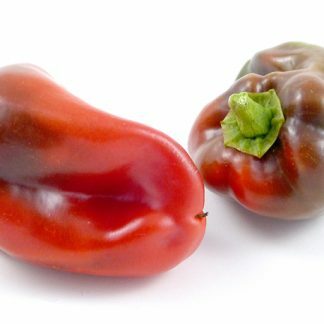 But this is a C. chinense, and in my own experience, I might find 20 or 30 fruits with no heat, and then get one little spicy bomb. I also observed that the occasional spicy bomb fruits had a much stronger aroma of that distinctive “extremely hot” pepper smell. This variety comes in a red and a yellow version. I plan to offer both in the next season’s listings. 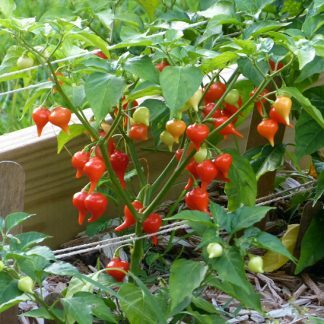 This is an easy pepper to grow, and quite early. 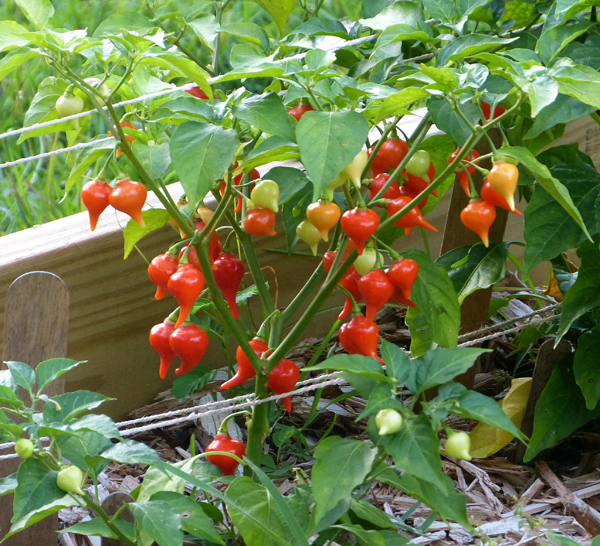 Biquinho Iracema covers itself with glowing jewels and then never seems to take a break as many of my pepper varieties do during the highest heat of the summer.